I enjoyed the way the author wrote each page; the words helped me feel at ease. The workbook will be of tremendous value to people who wish to go deeper into their souls and find more inner strength. 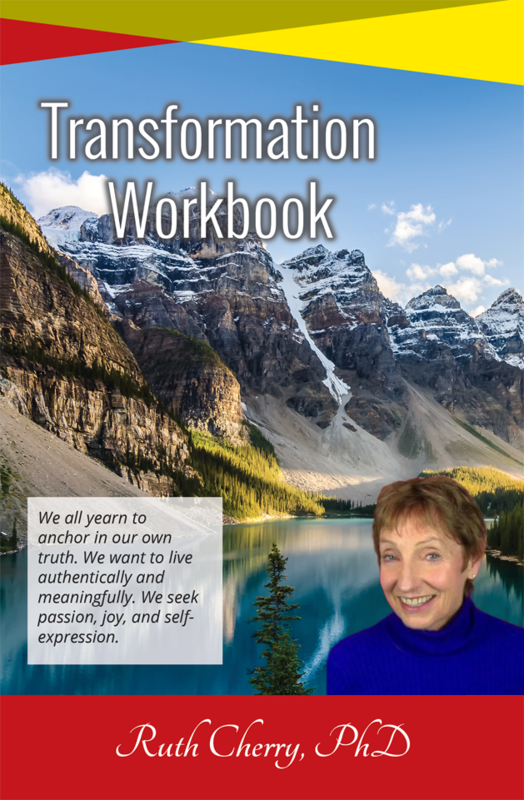 I think Transformation Workbook is a true source for confronting oneself with much needed inner focus. I like it very much. “In truth, vulnerability refers to living from your essence, the deepest core part of who you are. No pretensions, no self-delusions, no imitations. You simply be.” – Wow! “You want to be you, with depth and commitment and open-hearted self-acceptance.” Yes!! Wonderful, I am excited to use the workbook in its entirety – just lovely. Dr. Cherry approached the “Integrating your Vulnerability” section quite well as she inspires the soul’s yearning to go deeper, to feel more content by sitting still and allowing thoughts to come forward …simply to allow all persons to be present with their current thoughts and feelings. The exercises allowed me to sit and reflect. The journaling portion was great for me as I don’t currently have a practice journaling. I see now how it is quite useful……especially under the direction of Dr. Cherry. I’m grateful for her expertise in this area. The words and flow were very welcoming to me. The idea of transformation and being true to my inner being is very motivating for me. It’s an honor to be taught by someone so experienced, open and compassionate. I look forward to diving deeper into this transformative exploration. Transformation Workbook is wonderful. With clear, simple progression and focusing on this second, I felt a gentle invitation to take the journey within. Using this workshop guide in meditation, I have been able to let go of scrutiny and judgment to experience the freedom and fun of being me.